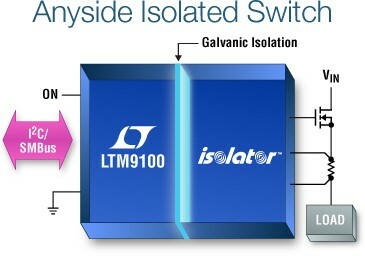 Monolithic Power Systems has introduced a new synchronous, 4-switch integrated buck-boost converter, the MP8862. The converter can regulate the output voltage from a wide input voltage range of 2.8V to 22V with high efficiency. The converter supports an Iout of 2A. Vout ranges from a 1V minimum to a maximum of 20.47V with a 5mV resolution controlled through I2C. The device can operate at up to a maximum of 500kHz. The converter’s integrated output voltage scaling and adjustable output current limit functions fit the USB Power Delivery (PD) requirement. 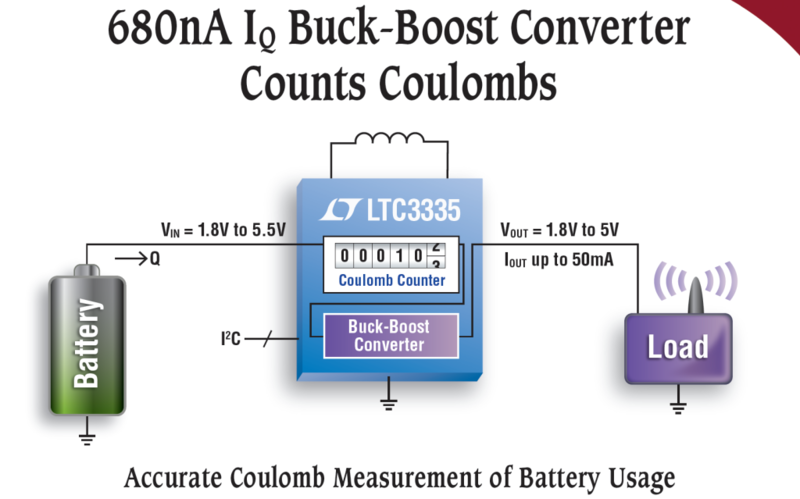 Applications for the converter include USB PD sourcing ports and buck-boost bus supplies. (see image above of typical application diagram). 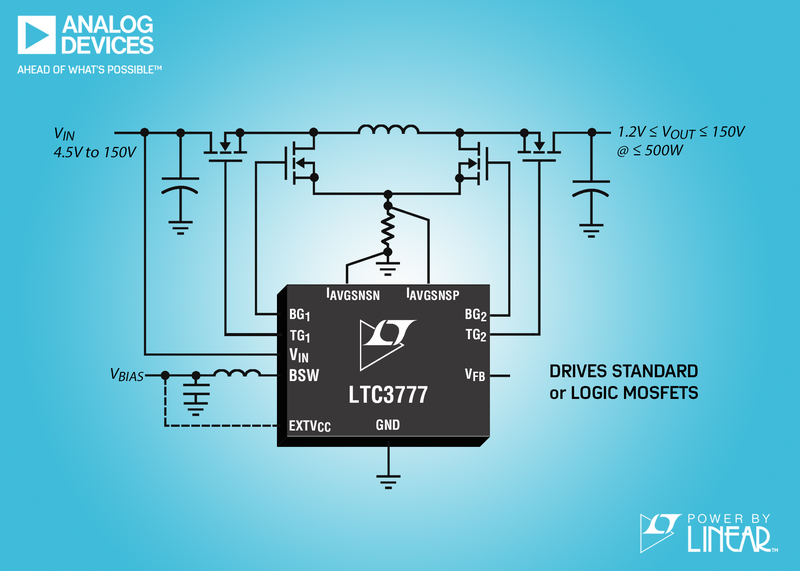 The converter features four low RDS(on) internal buck power MOSFETs and has an adjustable accurate CC output-current limit with an internal sensing FET via I2C. 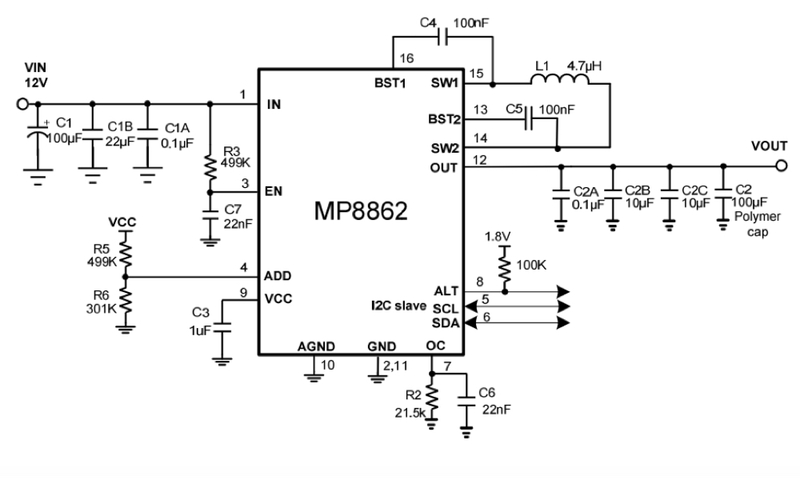 In buck mode, the MP8862 uses constant-on-time control, and in boost mode, it uses constant-off-time control, providing fast load transient response as well as smooth buck-boost mode transient. MP8862 offers auto PFM/PWM or forced PWM switching modes and programmable output CC (Constant Current) current limit, which supports flexible design for different applications. The MP8862 offers output OVP hiccup, output short circuitry protection with hiccup, and over temperature warning and shutdown. The converter is available in a 16-pin QFN package measuring 3mm by 3mm.